Daniel Atha put on his waders and ventured slowly into the Pool, near West 103rd Street, one of several bodies of water in Central Park. He was after a broad-leaved yellow pond lily and an iris of indeterminate species. He carefully collected the two specimens, along with a baseball bearing Derek Jeter’s signature. After he studied the iris for a moment, his face brightened. He thought the flower might not be the common Iris versicolor sold by nurseries, but rather Iris prismatica, a rarer find. 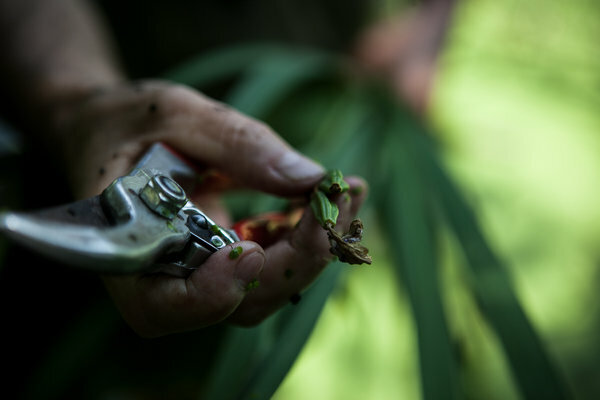 Mr. Atha, the conservation program manager at the New York Botanical Garden, is on an unusual mission: to document and collect every naturally occurring plant in Central Park. This entry was posted in "Weeds", Trees, We plant ourselves. Bookmark the permalink. ← How many trees are there?